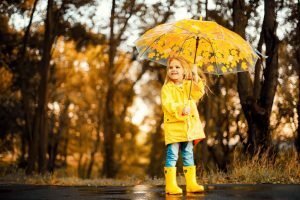 Whether you’re looking for an umbrella to take with you on a trip or just plain tired with umbrellas that give up on you when you need them the most, this set of reviews makes your decision really easy. At The London Umbrella Seller, we know exactly what’s needed to make a great umbrella. We’ve researched hundreds of umbrellas and narrowed our list to three Top Picks (below). 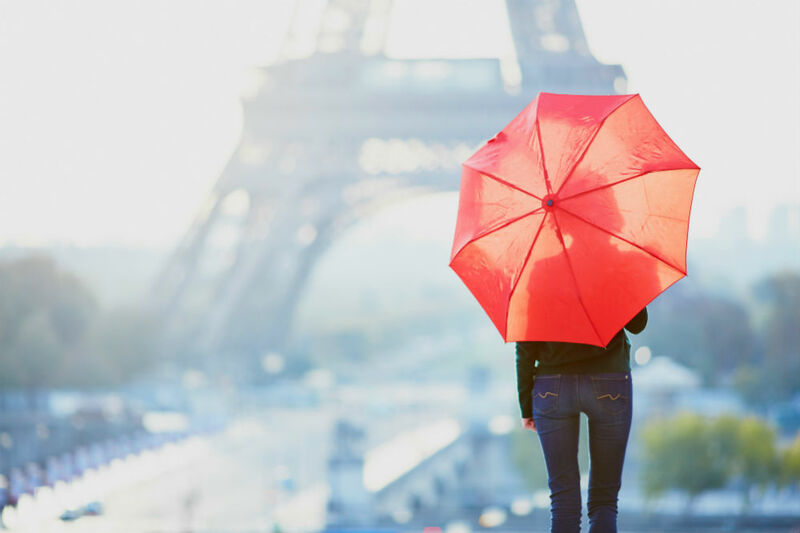 We’ve done all the hard work and research to make choosing the best travel umbrella easy. The umbrella employs Teflon technology on its canopy. It effectively repels water and other elements and allows it to dry super-quick. 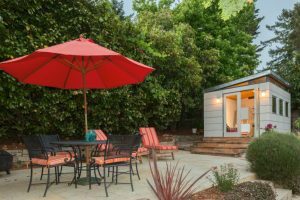 Additionally, when opened, its canopy pops out to a generous 42 inches that provides great coverage. The Repel Windproof Travel Umbrella is made to withstand high winds. It has a three-fold sturdy frame meaning it’s capable of folding down to a very small size. The chrome-plated metal shaft is also a superb feature. 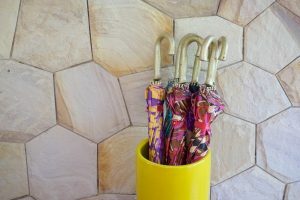 When folded, this 3-fold umbrella measures just 11.5 x 2 inches and weighs only 15 ounces. It fits conveniently in your bag, purse, glove compartment, and elsewhere. Does your finger often get pinched while opening your umbrella? Some umbrellas also need a lot of upper body strength and dexterity to open, which can be difficult for some. 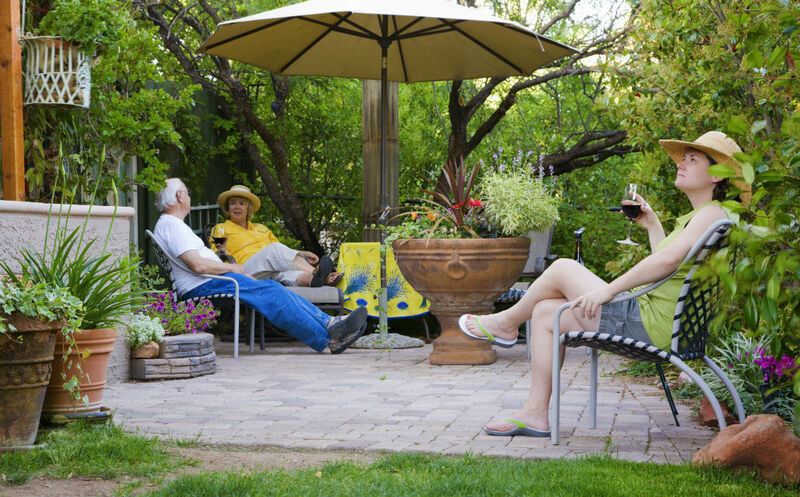 With this umbrella’s automatic open and close mechanism, you can finally do so with ease. Just push the button, and the canopy opens in a split second. Push again and the canopy snaps shut. The Repel Windproof Travel Umbrella goes beyond what most umbrellas offer. 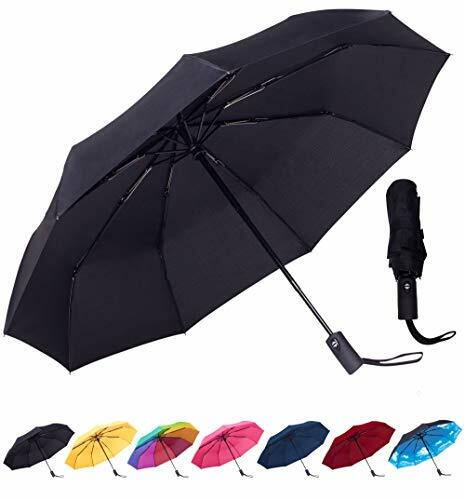 While most small umbrellas come with 6 or 8 ribs (often made of inferior aluminium), this one comes with 9 resin-reinforced fiberglass ribs that have a little give to them to withstand powerful gusts that can break many umbrellas. 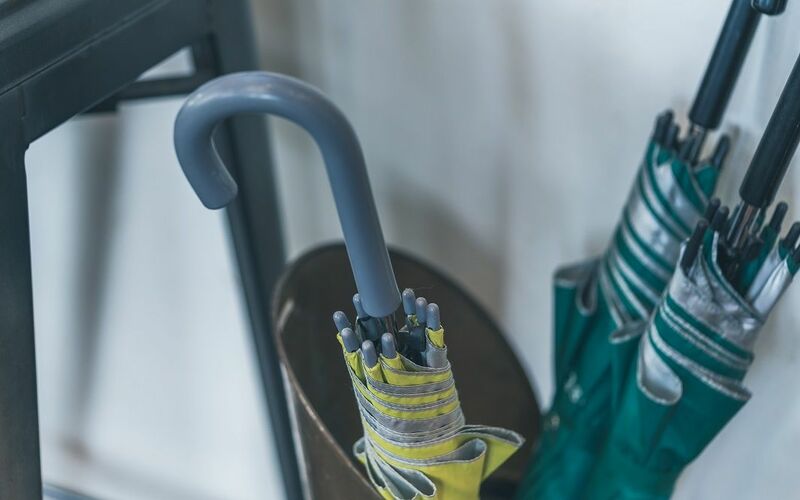 The umbrella comes with a rubberized handle that affords you a great grip of the umbrella. It also comes with travel sleeve and a wrist strap for easy carrying when not in use. Coming in with a lifetime replacement guarantee, broken Repel Windproof Travel Umbrellas will be replaced by the Repel Umbrella company with no return required nor charges. It’s worth emphasising that again, this umbrella comes with a lifetime replacement guarantee! The umbrella is equipped with fiberglass within the frame. When it catches the wind, its 42-inch canopy is designed to invert or bend without breaking. Its canopy is designed with 9 reinforced fiberglass ribs and all metal shaft to withstand strong winds. The Rain-Mate Compact Travel Umbrella has a three-fold design meaning it will close to a very small size, assisted by the telescopic shaft. It packs to only 12 x 2.5 inches and weighs just 14 ounces. Thus, stashing it in your bag, briefcase, glove compartment, or purse should be easy. Wish you can operate the umbrella fast and easy? With its one-touch button, you can open and close the umbrella with one hand while you carry bags, open doors, use your cell phone and more with your free hand. The Repel Windproof Travel Umbrella is backed with a lifetime replacement warranty that covers all types of issues and at no extra cost. 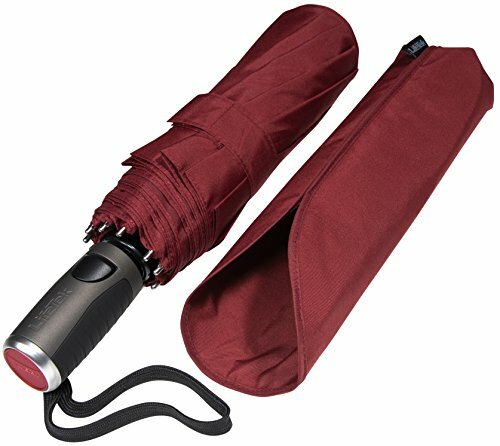 The Rain-Mate Compact Travel Umbrella is available in a number of colors. 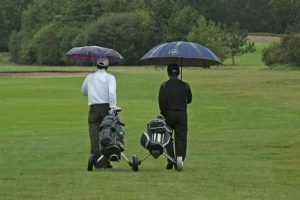 You don’t have to be stuck with a black canopy umbrella, but if you want it in black, that is an option too. 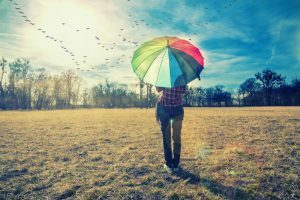 The umbrella is made with high-quality, UV-protection fabric with a layer of Teflon. 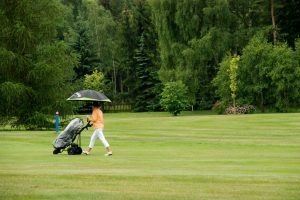 Whether you need protection in the sun, wind, or water, this umbrella provides you with a high level of protection. Its 42-inch frame is super-strong and supported by steel, forming its 9 large tri-folded ribs. This equips the umbrella to stand up to powerful gusts of wind. 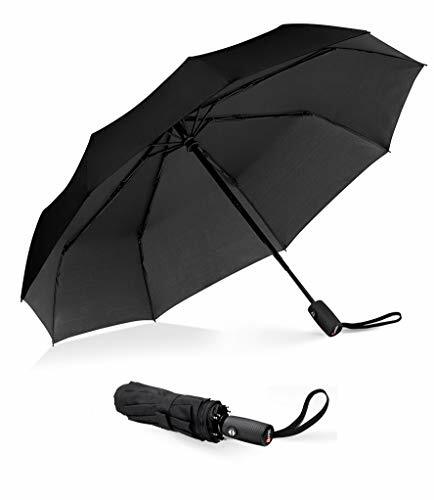 The LifeTek Windproof Travel Umbrella is a three-fold umbrella, meaning it folds down to a small travel size, essential so you can conveniently stash it in your bag or luggage. It measures 15.5 inches when close from end to end and tips the scales at just 15 ounces. Say goodbye to having to struggle with your umbrella when the elements surprise you. Using only one hand, you can deploy the canopy and by pressing the same button again, snap the canopy closed. Clever! The LifeTek Windproof Travel Umbrella is available in four color variants: black, navy blue, wine red, and forest green. LifeTek backs the quality of its product with a lifetime replacement guarantee. Sleeve comes with a slit that makes taking out the umbrella and putting it back easy. These are three great compact umbrellas, they all offer great advantages. Among the three, the Repel Windproof Travel Umbrella makes for the best travel umbrella. It offers a great balance of price and quality. 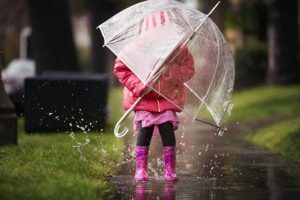 What makes it stand out is the Teflon coating on its canopy, which the Rain-Mate Compact Travel Umbrella does not have. Although this is a feature that LifeTek Windproof Travel Umbrella also has, the Repel Windproof Travel Umbrella offer better value for money. Nevertheless, if you choose the other products reviewed, for example, due to their different colors and designs, you won’t be disappointed either. 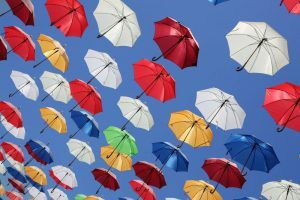 These umbrella suppliers take their commitment to quality quite seriously and back their quality with hassle-free lifetime replacement guarantees. You can’t go wrong!